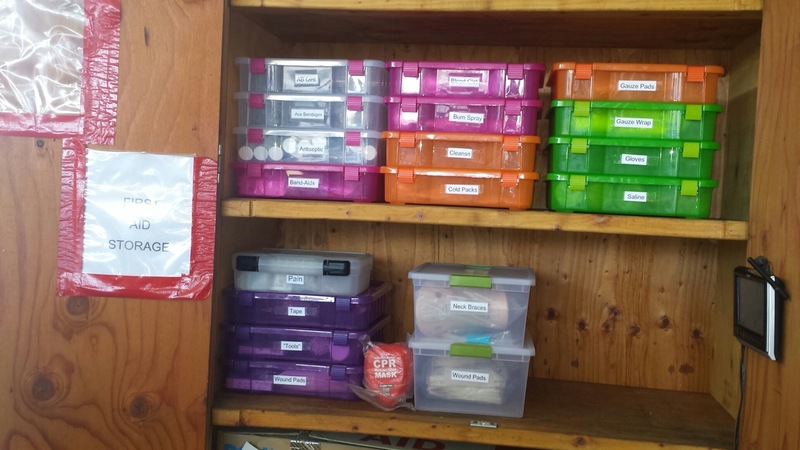 Janyce has informed me that she has gone through the numerous first aid collections and condensed them. They are in clearly labeled drawers in the storage cabinet facing the tractor. It is not locked during the day. It is important that everyone knows where First Aid is and how to access it. Wow. Kudos to Janyce! I'm trying to locate a used but functional AED to add to the collection. Janyce, if you know of something we are missing, please let me know and I will find it. 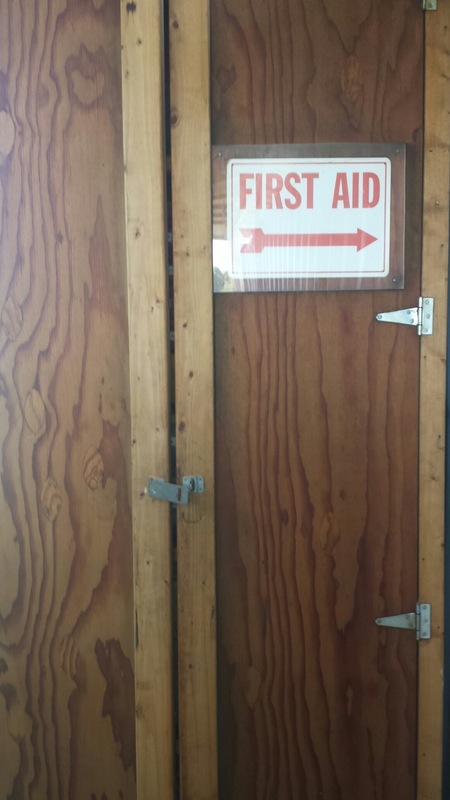 I hope there's a hook knife in the first aid station. It's imperative to be able to cut a pilot way from a crashed glider without disturbing the pilot for risk of spinal cord injury. It may also be necessary to cut a pilot out of his/her harness and clothing while waiting for paramedics to respond. In fact there should not be any pilots flying from Sylmar without a hook knife attached to their harness where it can be readily accessed by either the pilot or by a rescuer. In this case there doesn't need to be a hook knifein the first aid station although these are cheap insurance. We need a Hook Knife! JD offers some good advice. At the very least, we should have one hanging on the inside of the door, right next to a sign that says, "Hook Knife!" If someone supplies the knife, I will create the sign and attach a hook. I have not assembled, and probably will not assemble, a Portable First Aid Kit. I will leave that in some other pilot's capable hands; however, I am more than happy to be responsible for the upkeep and restocking of the basic bins. Have a look when you are in the lz. I'm open to any ideas or suggestions!